Thailand's defense minister confirmed Tuesday that his country's navy will buy three submarines from China for $1 billion, saying that reasonable price and a 10-year payment period were the main reasons. Defense Minister Prawit Wonsuwon said that the navy's planned submarine procurement has already been on hold for about eight years and China has given Thailand 10 years to pay, the Bangkok Post reported Friday. Thailand has considerable marine resources within its territorial waters in the Andaman Sea, and all neighboring countries had submarines including Myanmar, which recently purchased 10, said Prawit. "Since many Southeast Asian countries have been rapidly developing their naval forces, Thailand's purchase is a move to modernize its own. It (Thailand) does not want to be left behind," Zhang Junshe, a researcher at the People's Liberation Army's (PLA) Naval Military Studies Research Institute, told the Global Times on Sunday. In recent years, Thailand has also considered buying submarines from Germany or South Korea, reported AP. According to a report published by Jane's Navy International in July 2015, the Royal Thai Navy (RTN) has formally selected China's Yuan-class (Type 041) platform to meet its requirement for three submarines. The report said the submarine has been designated S26T (Thailand), referring to a modified export version of the Yuan-class. The RTN plans to take delivery of the first S26T within six to seven years. 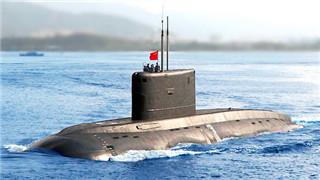 "The Chinese submarine is equipped with advanced technologies but is reasonably priced. Compared with other countries, China can provide favorable after-sale services," Zhang said. According to Zhang, Thailand used to buy most of their military equipment from the U.S., but the U.S. stopped manufacturing a certain submarine line for decades, adding that "the U.S. now only produces nuclear submarines, and most of them are not for export." Other neighboring countries such as Vietnam and Malaysia buy naval hardware mostly from Western Europe, such as Germany, France and Netherlands, Zhang said.